This is going to steal your heart, guaranteed. 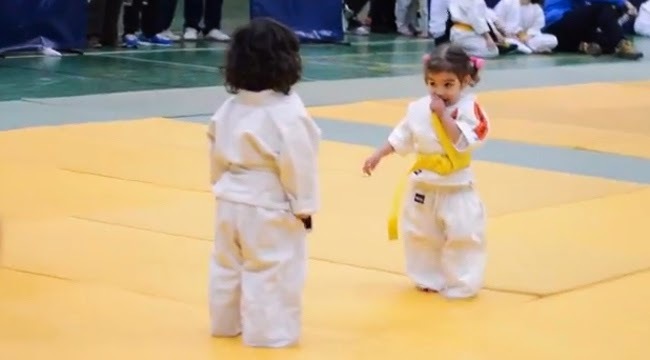 These two adorable girls give it their all in a friendly match of judo. As young as they are, they are fully aware of the rules which include bowing to your opponent before another round begins. Sportsmanship and cuteness? This two-minute video has them both.